OTTAWA - The final budget of the Trudeau government's mandate will scatter billions in fresh spending - on everything from pharmacare to retraining workers to first-time home buyers - as the Liberals commit to an electoral fight that pits their deficit-spending vision versus the Conservatives' balanced-books approach. The Tories were protesting the Liberal-dominated justice committee's decision earlier Tuesday to pull the plug on its probe of the SNC-Lavalin affair. 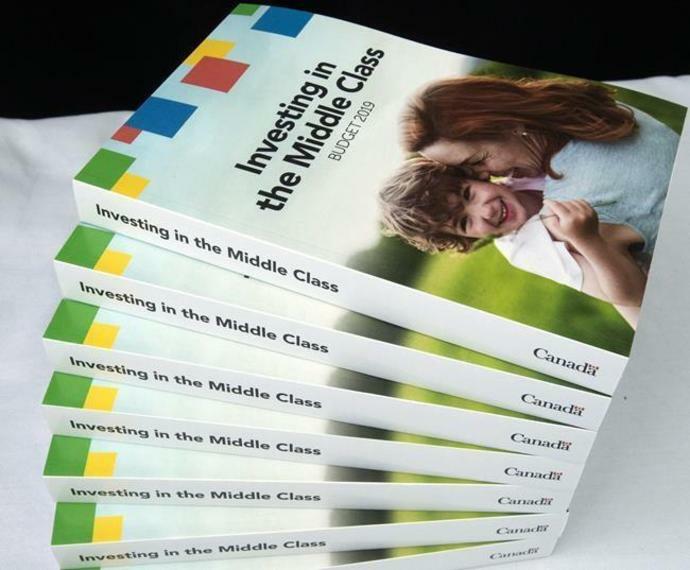 Most of it will be aimed at Canadians' pocketbooks. "The opposition would like to see us make cuts very rapidly - their idea is balance the budget at any cost," Morneau told a news conference Tuesday after being asked about his deficits. - $500 million per year, starting in 2022-23, to help cover the cost of drugs for rare diseases. The annual deficit projections in Tuesday's budget - which reach as high as $19.8 billion - are less than one percentage point of Canada's gross domestic product, a modest level when compared internationally. After the 2015 election, the Trudeau government abandoned the promise, arguing more investments were needed to lift Canada's long-term economic growth. Instead, Morneau has focused on lowering the net debt-to-GDP ratio - a measure of how burdensome the national debt is - each year even as the actual debt has increased. "We're going to make these investments to grow our economy for the long term - while we bring the books back towards balance," his speech said. The budget's planning horizon showed the deficit will shrink to $9.8 billion by 2023-24. A big question is what will become of the Liberal spending plan - and how big the shortfalls will grow - when Canada is hit by the next economic downturn.